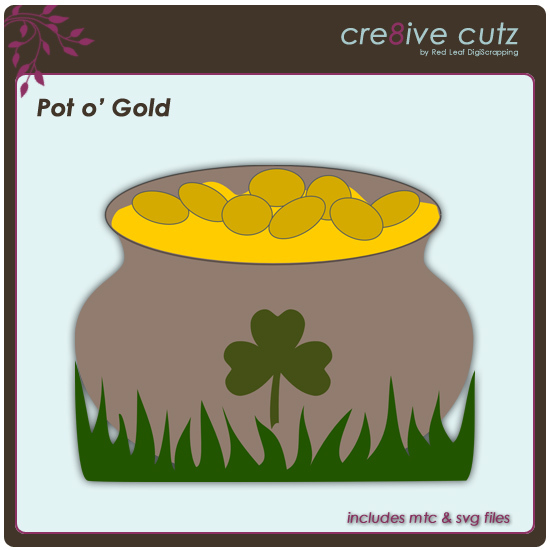 If you need a bit of the luck o' the Irish, this free pot o' gold svg cutting file should do the trick! 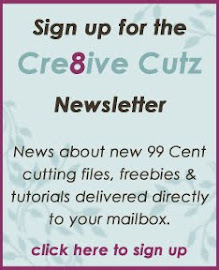 Just click on the preview image to download the file. As always, SVG, MTC and PDF files are included in the download. Have fun! 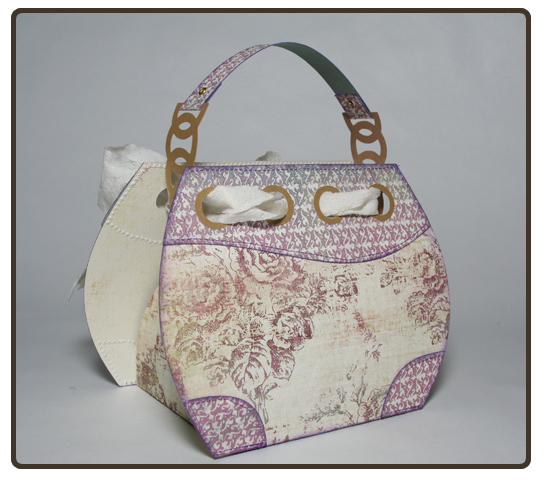 I have another sweet little purse for you today. 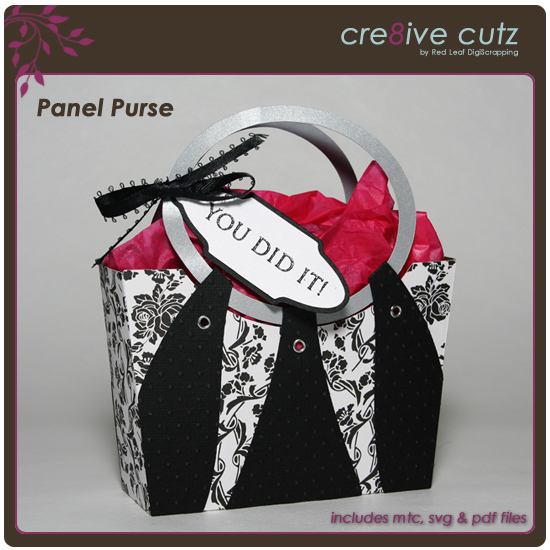 The Panel Purse, now available in the 99 Cent store, has contrasting panels on the front and back that can be stamped, embossed or inked to create a truly unique look. 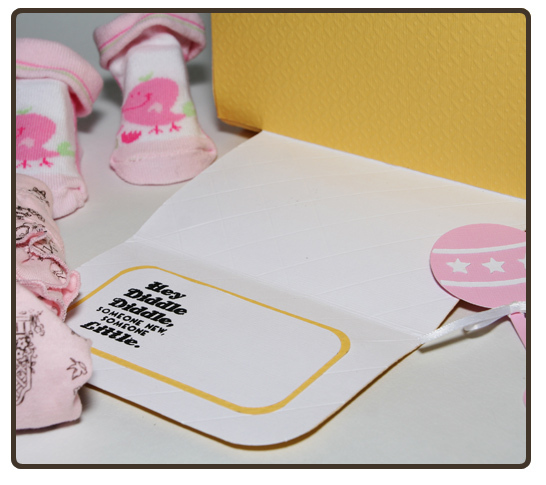 The included tag can be stamped with any sentiment to match the occasion of the gift. 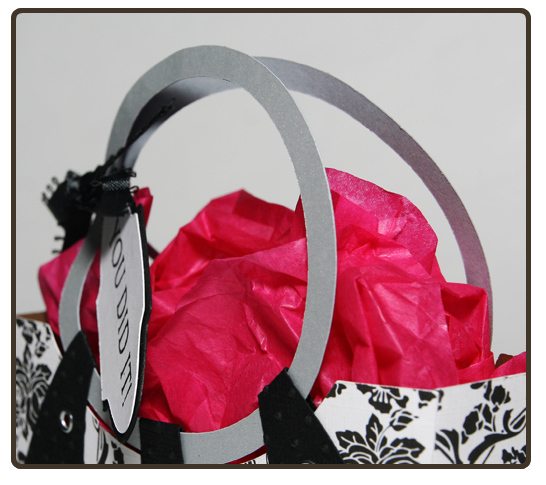 With Easter coming, this would make an adorable Easter basket too! :-) Just click on any of the previews below to go to the store. Anyways, this tutorial uses some stamping, embossing and inking to create a vintage looking tag with a very pretty resist effect. Hope you enjoy it! 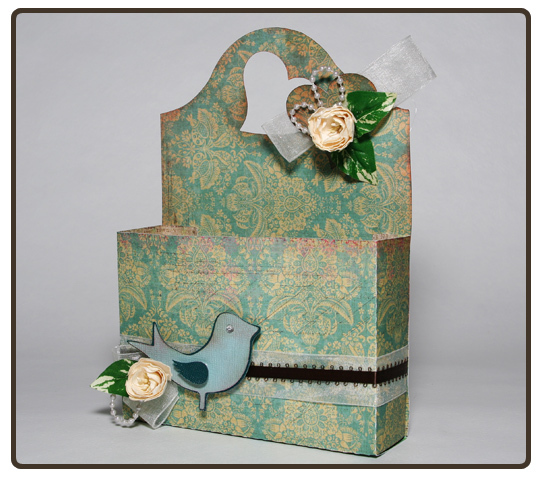 The patterned paper is from the Charlotte paper pad by K&Company. 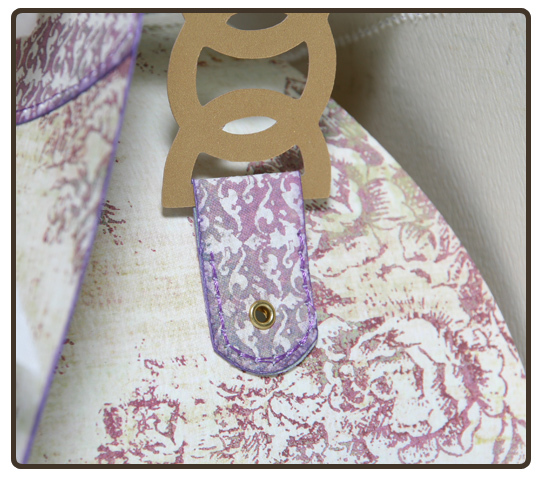 I used Tim Holtz Distress Inks in Frayed Burlap and Fired Brick to add a little extra grunge around the edges. 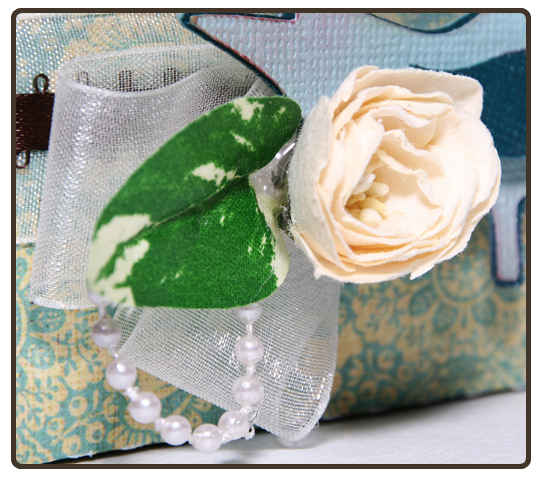 The ribbon, roses, leaves and pearl strings are miscellaneous items from my stash. 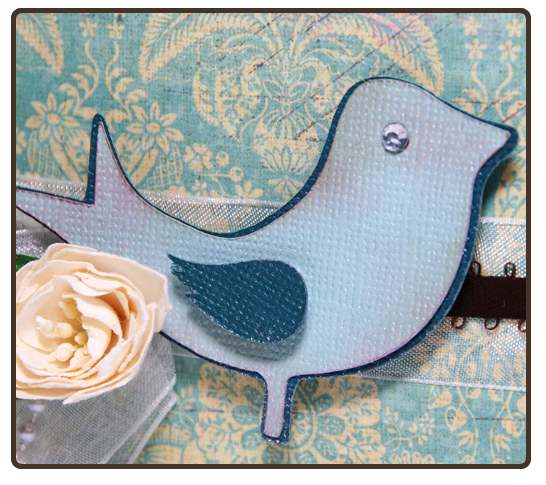 The bird is from my Home Tweet Home image set, available in the 99 Cent Store. 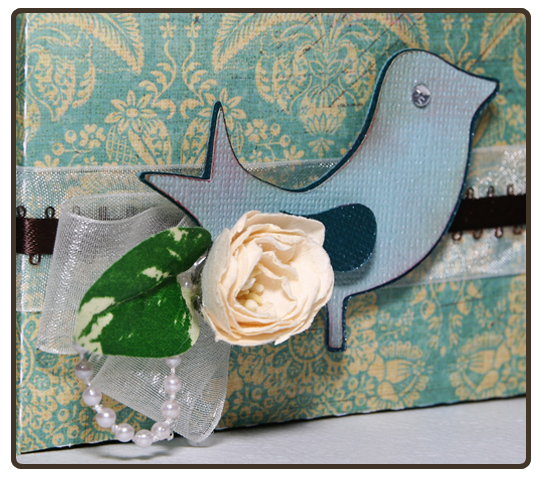 The bird is cut from Bazzill cardstock, distressed with Tim Holtz Distress Inks and spritzed with a little Glimmer Mist for a little sparkle. I know some of you have been waiting for this one, and it's finally here! 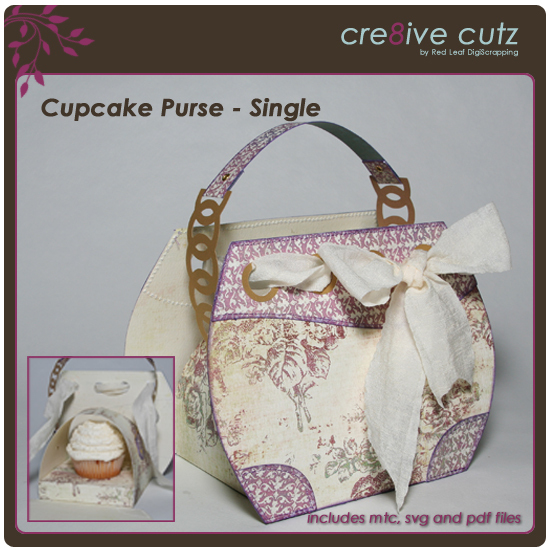 :-) The Cupcake Purse - Single is now in the 99 Cent Store. 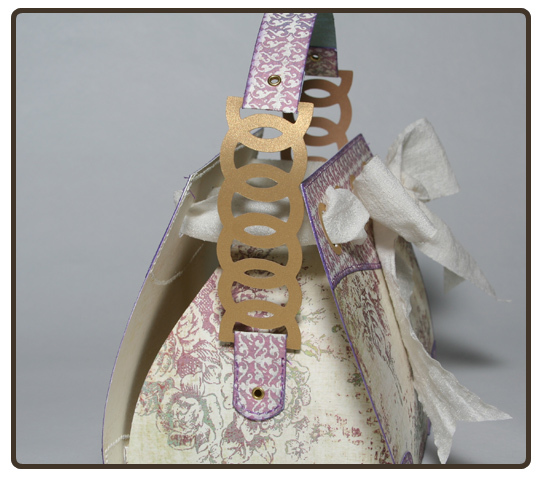 This version of the cupcake purse holds a single regular sized cupcake, and has lots of great details that can be customized for so many different looks. 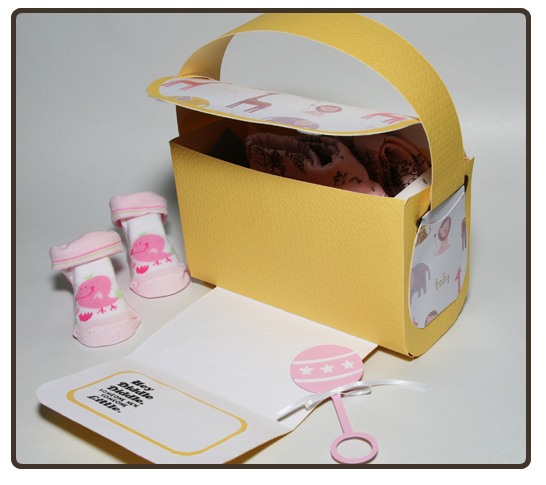 And the best part is, the cupcake holder itself is interchangeable with the 4 mini cupcake holder that comes with the original Cupcake Purse, so you can mix and match to put either purse onto either cupcake holder. How great is that! Just click on any of the images below to visit the store. 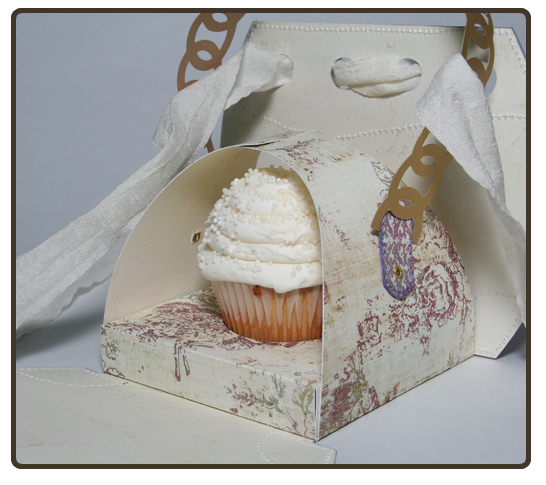 The Cupcake Purse opens to reveal the delicious goodies held snugly in place inside. 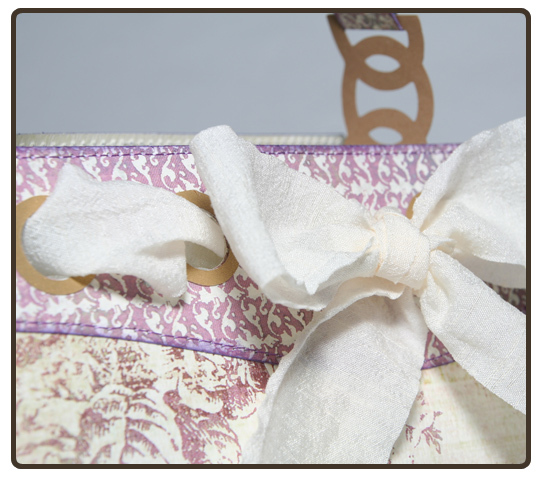 A pretty bow holds everything in place. Lots of great details including these little tabs holding the handle in place. Side view of the "chain" detail on the handle. 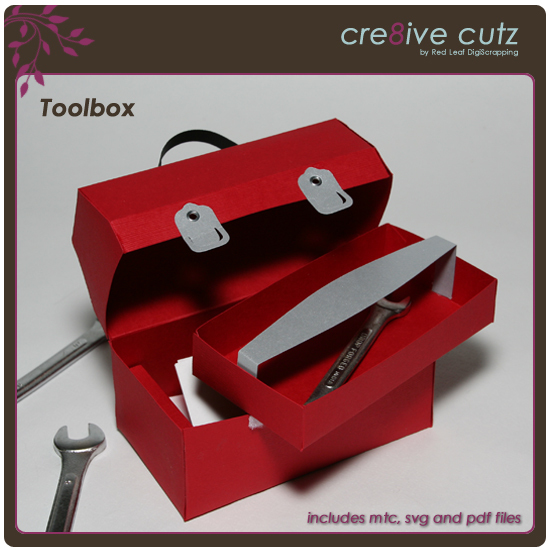 Brand new in the 99 Cent Store, the Toolbox cutting file includes SVG, MTC and PDF versions of the file, as well as complete assembly instructions including photos. Just click on any of the images to go to the store. 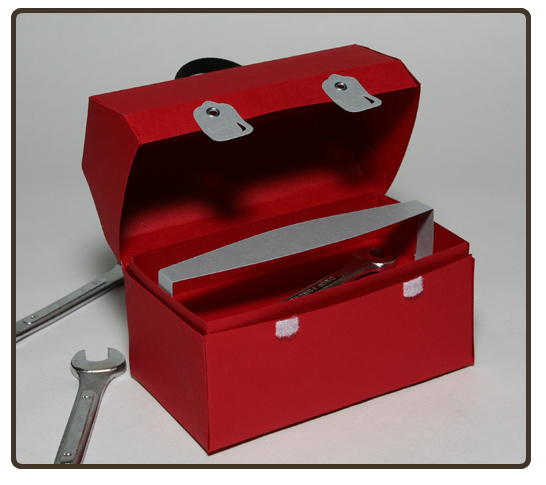 Small velcro dots hold the Toolbox closed. 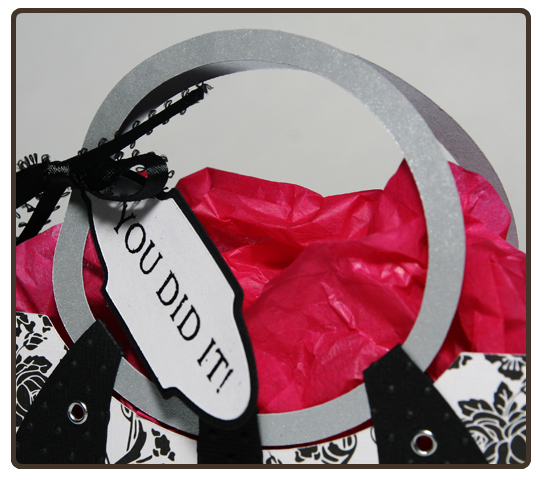 The lid opens to reveal a tray large enough to hold treats and surprises. 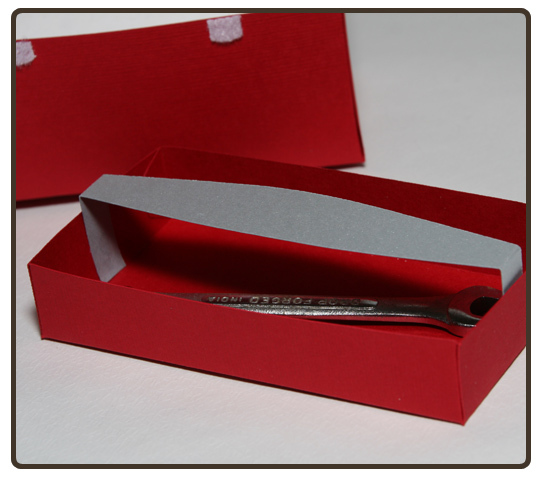 The tray lifts right out of the toobox. 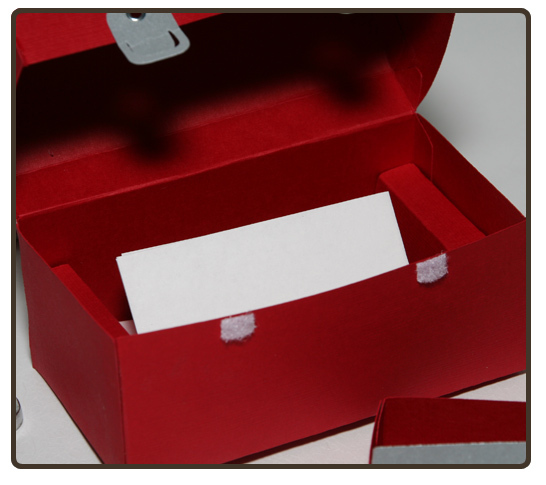 Once the tray is lifted out, the compartment underneath can be filled with more surprises. 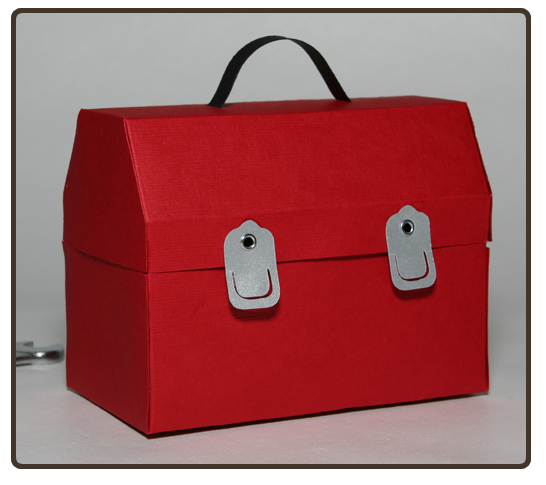 Little buckles cover up the velcro dots that hold the Toolbox closed. A sturdy handle is the finishing touch. 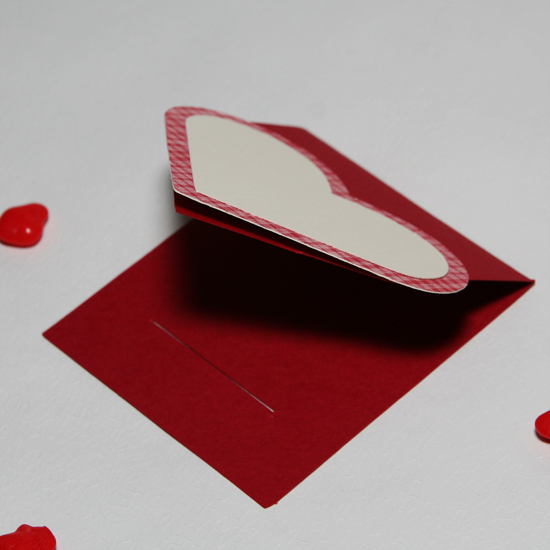 Are you planning on spending the weekend making valentines with your little ones for school? 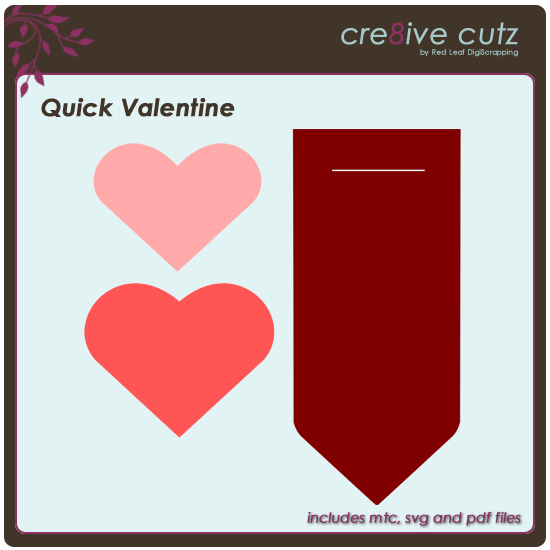 This cute Valentine is just what you need, and it's a project you can do together because it goes together so quick and easy! 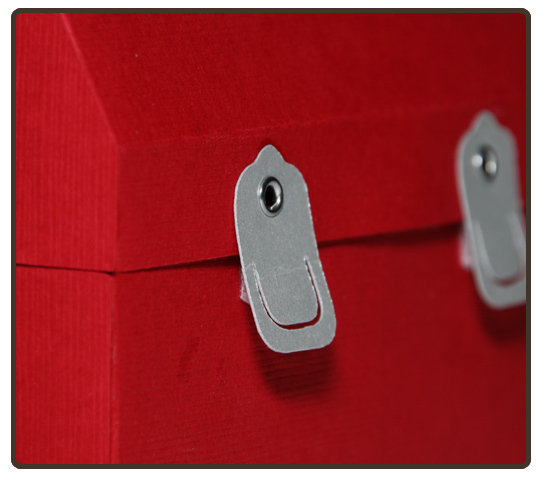 Just click on the preview image to download the file. As always, SVG, MTC and PDF files are included in the download. Have fun! 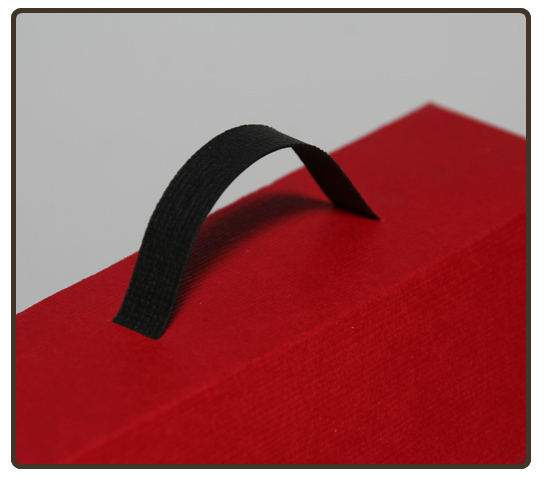 The handle shown is the largest that can be cut on a 12x12 mat, but if you have a longer cutting mat and paper, you could certainly put a longer handle on it. 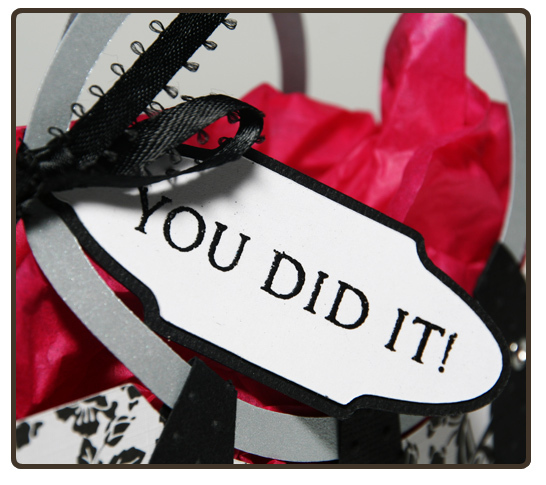 You could also substitute wide ribbon and it would look just as cute! 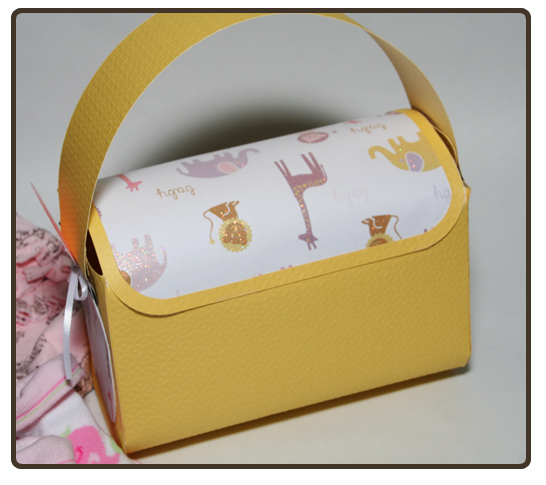 To make the bag, I used Cake Batter from the Bazzill Basics Two Scoops collection, and It's a Girl Zoo by Ki. 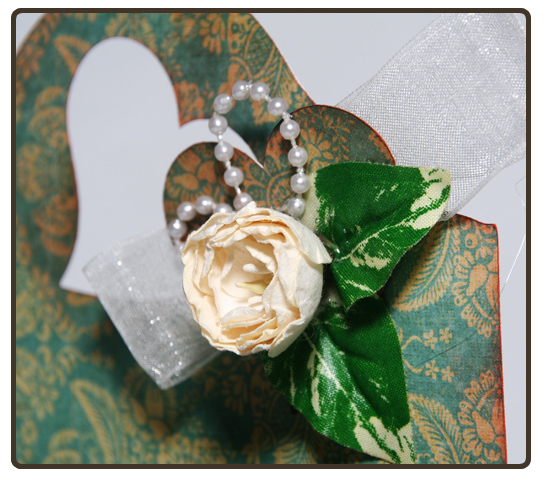 The white cardstock I used on the change pad is Avalanche by Bazzill. I also scored a diamond shape in the change pad to simulate the look of quilting. 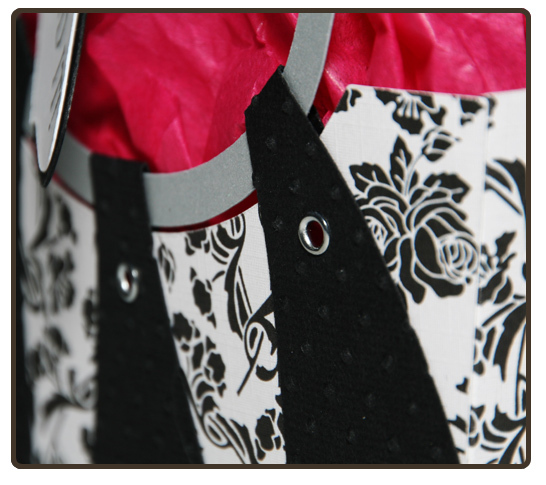 The bag can be cut large enough to hold several item. 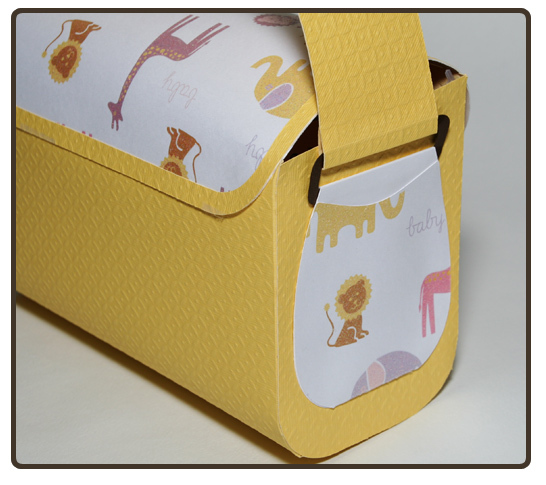 It even has little pockets on the sides that extras can be slipped into. 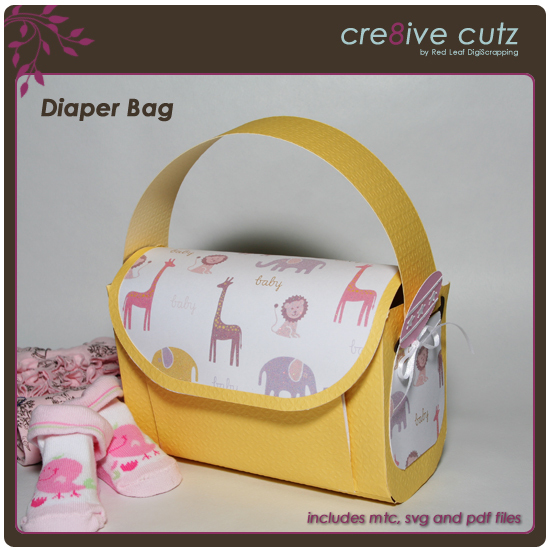 No diaper bag would be complete without a little fold-out change pad, and this one is the perfect spot for your personal message to the new family. Even from the back, it's so cute!